* Instagram is 1 billion strong with 500 million daily users. * 32% of all internet users are on Instagram. * Over 95 million new posts are created every day and the number of daily likes was 4.2 billion. * It has a young demographic with 59% of the users under the age of 29 and 33% of the users between the ages of 30 and 49. * Over 25 million businesses are on Instagram with nearly 2 million monthly advertisers. * 78% of influencers prefer to use Instagram. * 80% of users follow at least one business and 72% have bought a product that they saw on Instagram. Brands report regular engagement from about 4% of their followers. These figures tell a convincing story about the reach and efficiency of Instagram as a potential platform for promoting brands and engaging followers. To know more about Instagram ads and how to leverage them, read on! A photo ad is an image that can be posted on Instagram as paid ads to engage a greater audience. Single images can be used along with a variety of options for call-to-action. Image ads allow a headline of 25 characters and 30-character link description. For example, Parachute Home used photo ads to promote the 60-night trial of their bedding by using authentic, aesthetically pleasing images of their products. This led to a click-through-rate that was double compared to their other platforms. Videos are becoming a favorite for every marketer to showcase their brand or product in a simple yet engaging way. Instagram with its Video feature, allows upload of up to 60-second long videos. It comes with a 25-character headline, 30-character link description, and a CTA button. For example, OGX Beauty, a global hair-care brand used video ads to increase brand awareness and increase in-store sales of its products. It led to an 8% increase in sales in the U.S and more than 60% of its target audience was reached. Combine two to ten images or videos to create an Instagram carousel ad. The viewers can swipe left or right to view all the images in the series. Get 125 characters of text along with a 40-character headline, 20-character link description and a CTA button. For example, Virgin Media, a British company that sponsors the BAFTA (British Academy of Film and Television Arts) TV Awards every year used carousel video ads to garner votes for the awards and increase excitement. This led to 42% more votes compared to other social media channels and 39% lower spend on ads compared to the previous year’s campaign. These are ads that appear full screen in between stories which users are already viewing. They are ideal for limited time offers and promotions as the stories are live for only 24 hours and then expire. Images, as well as videos, can be used to create innovative and fun content which looks and feels like normal feeds. For example, Ted Baker, a leading British luxury retail clothing company used story ads to promote their latest winter/autumn 2018 collection to youngsters. This led to 22% more website conversions in the age group 18-24. To optimize ads for the mobile platform, Instagram offers collection ads which are easy to discover, load and view on a mobile device. It includes a cover image or video along with some product images. It supports both videos and images and helps to create interest and intent and is supported by a CTA button. When people click on a collection ad, they are directed to Canvas– an attractive, full-screen experience. It allows text up to 90 characters. Maximum resolution – 1936×1936 pixels. Maximum resolution – 1936 x 1936 pixels. Do not use website URL in the captions or text as they will not be clickable and appear merely as static text. 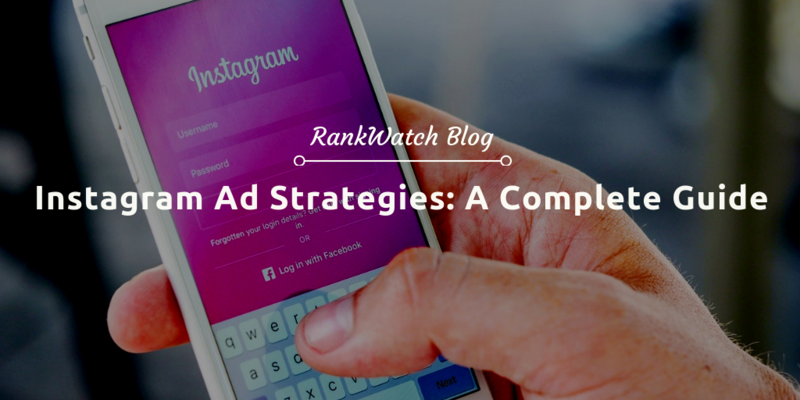 To learn more in detail about Instagram ad formats and their placements, visit the Facebook Ads Guide. Leverage posts with a lot of engagements to reach a bigger audience. You can promote such posts from within the Instagram app. For this, you will need an Instagram business profile. Once your business profile is set up, you can use the Promote button located beneath the post to promote it. It doesn’t provide too many customization options but does help generate a new audience and drive engagements. Using the ads manager allows greater creativity and customization for Instagram ads. But before using, it requires to be set up. Setting up: Linking the Instagram account to a Facebook Business page is essential to use the Facebook Ads Manager. Once it is done, then you will be able to use the Ad Manager to create, manage and measure the efficiency of your ads. To set up a Facebook Page, you can follow this comprehensive guide. Once the page is up, you must follow the two-step process to access the Ads Manager for your Instagram account. * Link your Facebook Page to Business Manager. * Link your Instagram account to Business Manager. Once your account is up and running, you can start advertising! There are two ways to create ads using Facebook Ads Manager- Guided Creation and Quick Creation. Guided creation is for newbies as it guides sequentially through the creation of an ad. The quick creation is for seasoned users who know the process better. * Choose your objective. There are some preset objectives for each ad. You can choose the ones that are most relevant to your campaign. Not all the available options are ideal for Instagram, so choose ones that are compatible with it, which are – Brand awareness, Reach, Traffic, App installs, Engagement, Video views, and Conversions. * Identify your target audience– Decide who you wish to target your ads at. There are many different options available, so pick and choose the ones you feel are relevant to your preferred target. * Choose your ad placements– Decide where your ads will show up in Instagram. There is an automatic option which will place your ads where ever they are expected to perform optimally. Otherwise, use the ‘Edit Placements’ option to define where the ads appear. * Decide your budget and schedule– Assign a budget and the length of time for which the campaign will run. You can set a daily budget allowance or a lifetime one with ads that have a predefined lifetime. Pay attention to the CPC which may change depending on the target demographics and the time period for which the ads run. * Create your ad– The last step is to create your ad by choosing the images, videos, adding in headlines, descriptions, CTA button and the URLs. Once you are done, upload the images and see a preview before initiating the campaign by hitting the confirm button. * Know your audience– Before you set the audience filters you need to be sure who you wish to target with your ads and how you are going to capture their attention. * Use hashtags– Instagram has a character count limit for posts. Don’t use it to state the obvious, rather, use it wisely by adding lots of hashtags. * Use an effective CTA– Use a compelling call-to-action and guide the click-through to a landing page that provides leads the information needed to guide them through the funnel. * Focus on creating experiences– Consistency is the key to audience experience as it helps to reinforce the brand. Make sure every element is a statement of who you are and what is your motto. * Measure the performance of your ads– Keeping an eye on the metrics helps to give a complete picture of how your content is being received. Follow the data to create better experiences and engagement for the content you post. Now that you know all there is to know about Instagram advertising, go ahead and create your first campaign and make the best use of this huge opportunity to push your brand and add an edge to your marketing efforts. 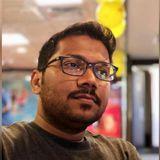 Koushik Marka is the founder & CEO of Studiotale, an explainer video production company. He is passionate about helping brands grow with video and has expertise in video marketing, 2D animation & Vector Illustration. When he isn’t working, he loves playing video games and travelling.